Australia’s premier football supporters’ network for the Socceroos & Matildas. When it comes to supporting our national teams on the road, we have unparalleled experience. 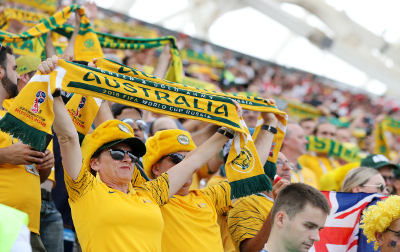 We’re the only football-focused organisation to have arranged travel for thousands of Socceroos and Matildas fans to World Cups, Asian Cups and countless qualifiers and friendlies. Whether it be Tim Cahill’s double in Kaiserslautern, the incredible 3-1 win over England, Johnny Aloisi’s penalty in Sydney or the Matildas knocking Brazil out of the World Cup, we’ve been there, lapping up the moment and giving our teams the world’s best support. We’re passionate football fans and have developed our travel packages with fellow supporters exclusively in mind. We understand how football’s unique support fits perfectly with amazing cultural opportunities and vibrant social functions to create the kind of travel experience that will stay with you for a lifetime. We look forward to welcoming you on one of our upcoming tours! Football is my game – as a result the GGArmy is my World Cup tour brand. They are football people, experts in delivering large tour programs and I know they will take care of me and my family. 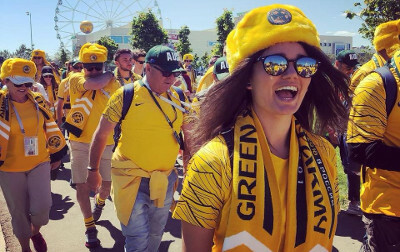 If you are going to travel abroad to support the Socceroos or Matildas, do yourself a favour, tour with the GGArmy, you won’t be sorry. You can relax knowing everything is organised for you and all you need to do is have a great time. Football has been my life. As a former professional and elite development coach I wanted to attend FIFA World Cup’s with football people. That is why I chose the GGArmy to travel to South Africa and Brazil. It was, simply put, the time of my life. The football I experienced was world class, the network of guests was the who’s who of Australian football and the friendships I forged will last a lifetime. Thanks to the GGArmy all my expectations were exceeded. Bring on the next adventure, 2019 France.